There are so many outdoor allergens that it is impossible to individually identify each one. Usually, these allergens are quite harmless particles; yet, they trigger allergic reactions in those who are afflicted with a respiratory disorder known as allergic asthma and also in those who suffer from allergies. Some of these countless outdoor allergens come from grasses, flower pollen, weeds, trees, bushes, and mold spores. There are other substances which can cause allergic reactions, as well. These come from irritants such as pollution, tobacco smoke, strong odors from automobile fumes, gasoline, and even animals. Both allergens and irritants are impurities found in the air. These impurities are foreign to the human body and usually harmless. However, if any one of these particles enters into the body, whether by mouth or nose, the body immediately goes on alert. Then the body’s defense mechanism known as the immune system will aggressively seek out and destroy whatever is perceived as a threat to the well-being of the body. Thus, the body will have a hypersensitive reaction with the allergic symptoms of sneezing, runny eyes, coughing, headache, sore throat and itching, burning skin. With so many allergic “instigators” in the environment, the allergy prone individual will have a difficult time in protecting himself or herself from them. However some positive actions can be taken. The allergy triggers must first be identified and to do this, the individual may have to seek the help of a medical health professional and/or allergist, as well. Once seeking this help, he or she will know more about the allergy. 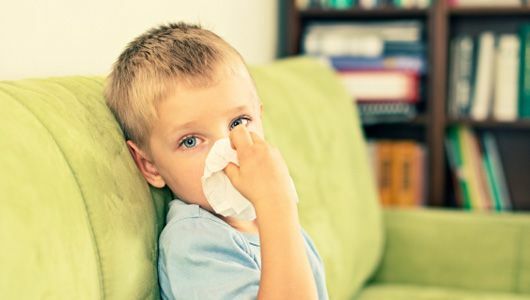 Also, allergy medications such as oral antihistamines, nasal antihistamines, nasal sprays, and/or decongestants may be prescribed to help treat any allergic reactions or symptoms. The doctor or allergist may also discuss with the patient what triggers to avoid and what measures must be taken to avoid them. One of the most ideal measures to take in preventing exposure to outdoor allergens would be for the allergy sufferer to avoid the substances entirely. However, since that would be almost impossible, the individual could minimize the effect of outdoor allergens on his/her allergy. For example, with pollens being the largest source of outdoor allergens, the person should be aware of the pollen counts in his/her area. To do this, he/she can check the local weather news or even websites which also report on pollen count and other weather conditions on a real-time basis. The individual must avoid going out at the highest pollen count times. Usually early morning (7 to 10 a.m.) and late afternoon (4 to 7 p.m.) are the worst times to be outside. Moreover, clothes should be dried in a vented inside dryer and not on outdoor clothes lines. As soon as the person returns home, he/she must wash the hair and change clothes after being outside. Finally, the doors and windows of the home and the windows of the car should be kept closed. Other measures to take when avoiding outdoor allergens is to use an air conditioner within the home and the car, as well. Using the ac will dry any humidity in both and control the allergens. If the person has pets, he or she should have the groomer bathe them weekly. The individual should remain indoors on windy or rainy days because of the increased mold spore count. Further steps in avoiding outdoor allergens include: no gardening or mowing lawns; no clothes drying outdoors; and cleaning the drainage system. Lastly, the person with allergies should rinse the nasal passages to flush any inhaled pollen. Although individuals with allergies can not control the big outdoors, they certainly can make sure the big outdoors will not control them or their allergies.